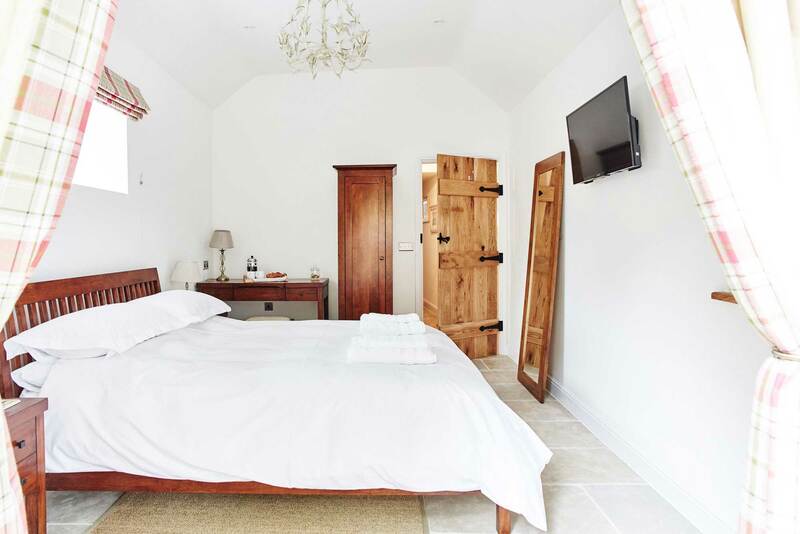 The Stables at The Rookery is a pair of luxurious 5 Star Gold Award self catering holiday cottages which can each accommodate two adults, situated on the edge of the historic Cotswold town of Malmesbury, Wiltshire. 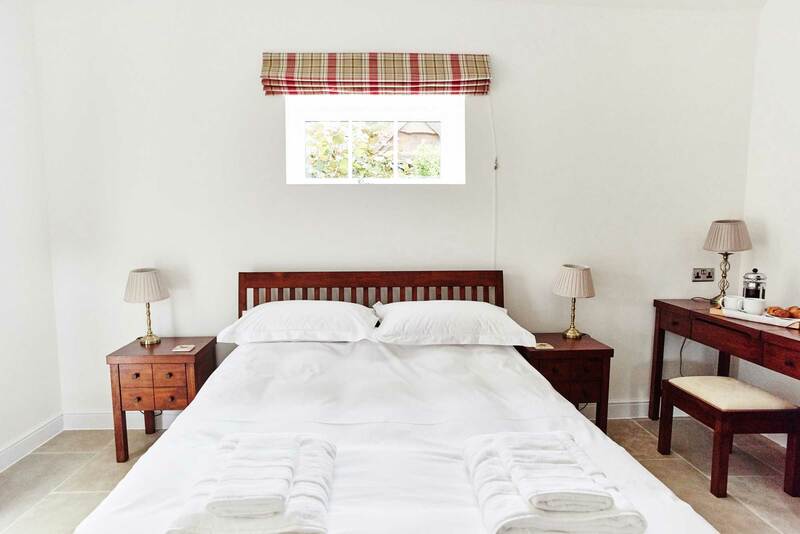 If you're looking for a romantic retreat, come and stay at our beautiful, grown-up hideaway and enjoy pampering yourselves for a few days. 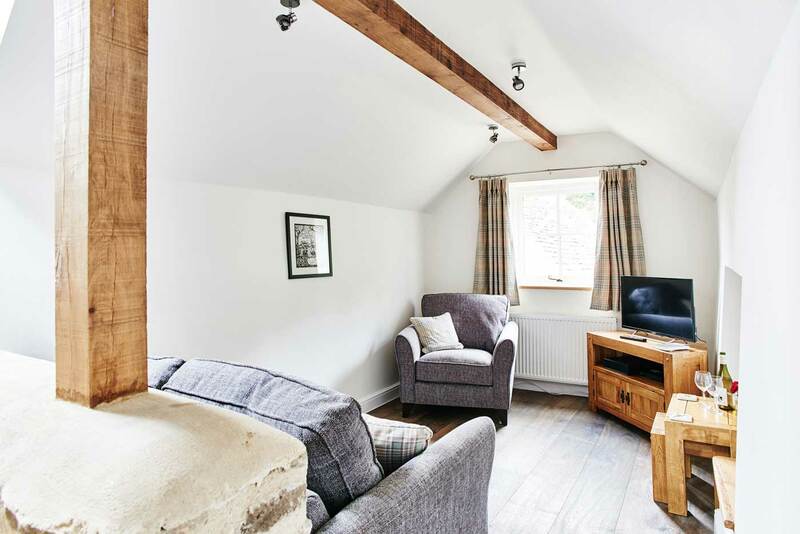 The Stables is a traditional Cotswold stone building which has been completely renovated using traditional methods and materials, in keeping with its Grade II listing. 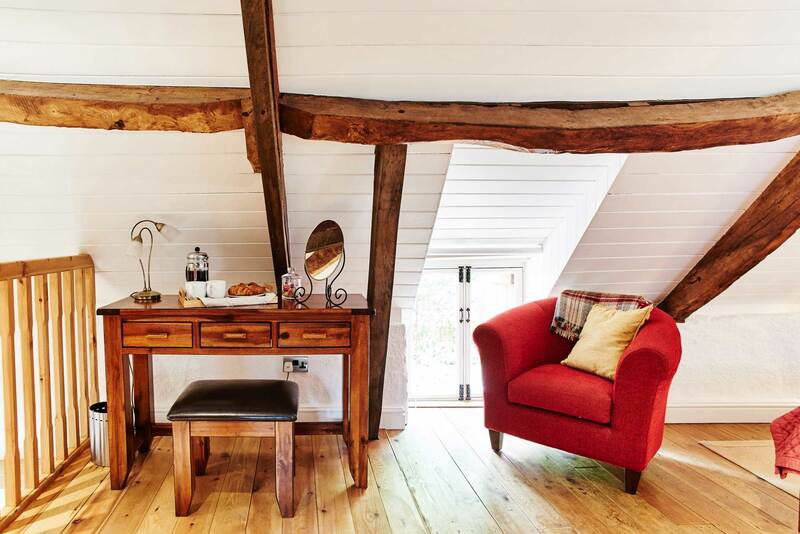 The exposed oak lintels and naturally contoured stone walls are complemented by the contemporary furnishings and decoration which aim to provide every modern comfort. 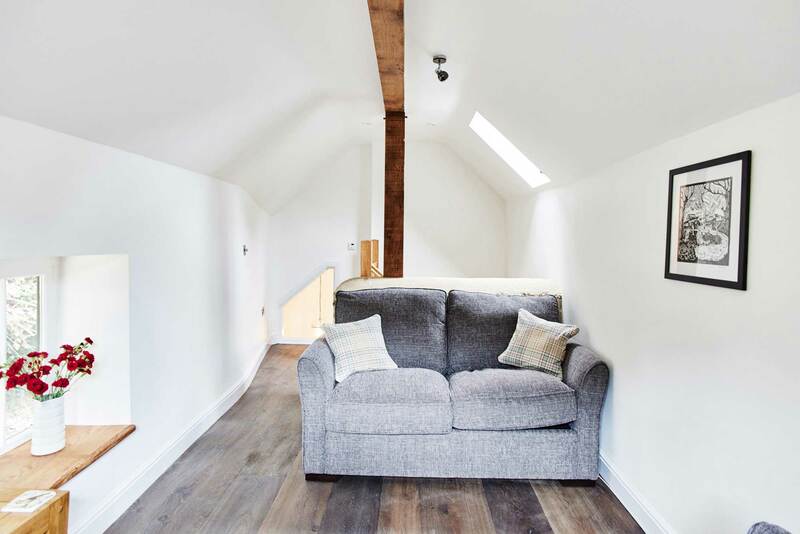 The Coach House is a newly-renovated, spacious and contemporary dog-friendly cottage – the perfect base for a relaxing break. 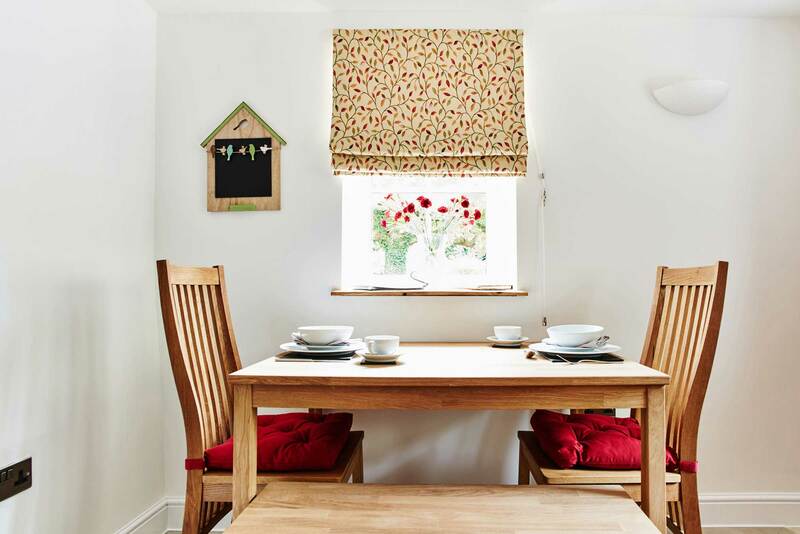 With dining space and crockery for up to 4 guests – why not rent The Coach House together with The Stables and share your holiday with friends or family. 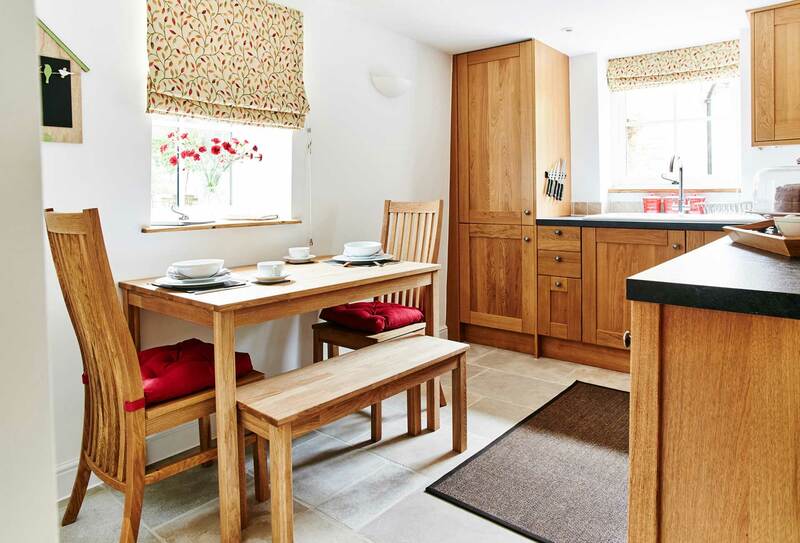 Our aim is to provide you with the most relaxing and romantic cottage for two. 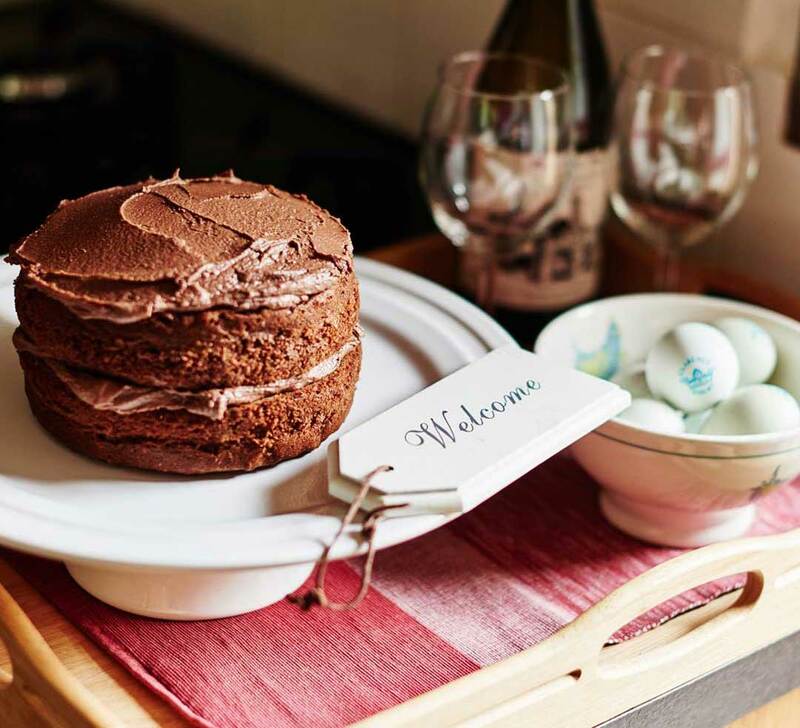 When you arrive, you will be greeted with a welcome tray laden with a home-made Aga cake from The Rookery kitchen and a variety of local produce including wine from the Bow-in-the-Cloud vineyard at nearby Garsdon. We are on hand to welcome you and help you to make the most of your holiday by recommending excellent places to eat and enjoyable excursions. 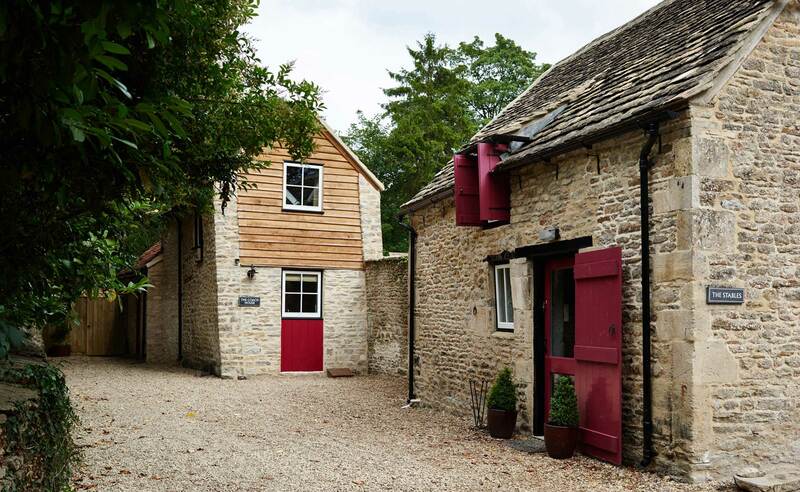 Malmesbury boasts a surprising array of attractions, all of which are an easy walk from The Stables at The Rookery. From picturesque walks along the river, to visiting the local museum, there is something to suit all. 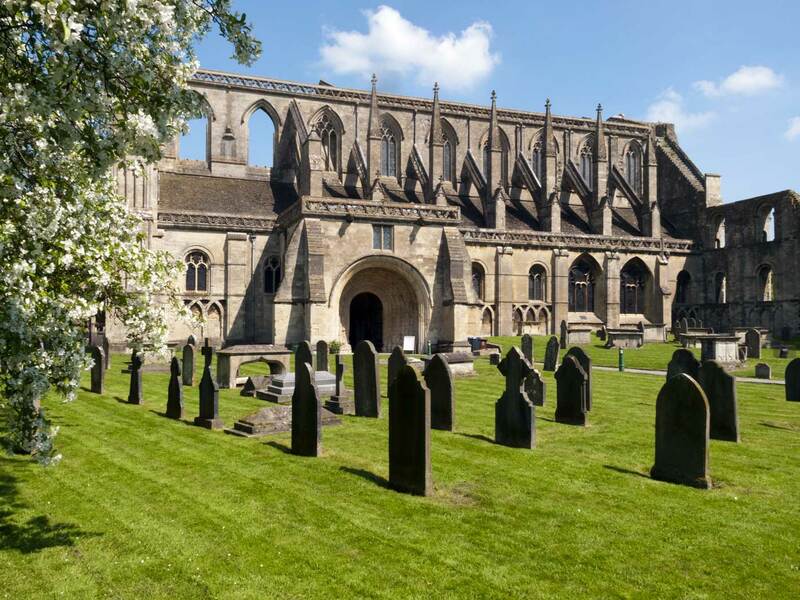 The highlight of any stay in Malmesbury must be a visit to its beautiful Abbey. The Abbey dates back to the 7th century and has a rich history. It was the setting for Monk Eilmer’s attempt at flight in 1010 (unfortunately unsuccessful). While strolling through Birdcage Walk and the Abbey graveyard, see if you can spot the grave of Hannah Twynnoy, supposedly the first person to be killed by a tiger in England. No visit to Malmesbury is complete without a trip to the Abbey House Gardens, located just behind Malmesbury Abbey. Home of the “naked gardeners” Ian and Barbara Pollard, the garden features an amazing array of plants and flowers right the way through the year. It’s no wonder this beautiful place has appeared on TV many times. Westonbirt Arboretum is situated just 5 miles from Malmesbury. 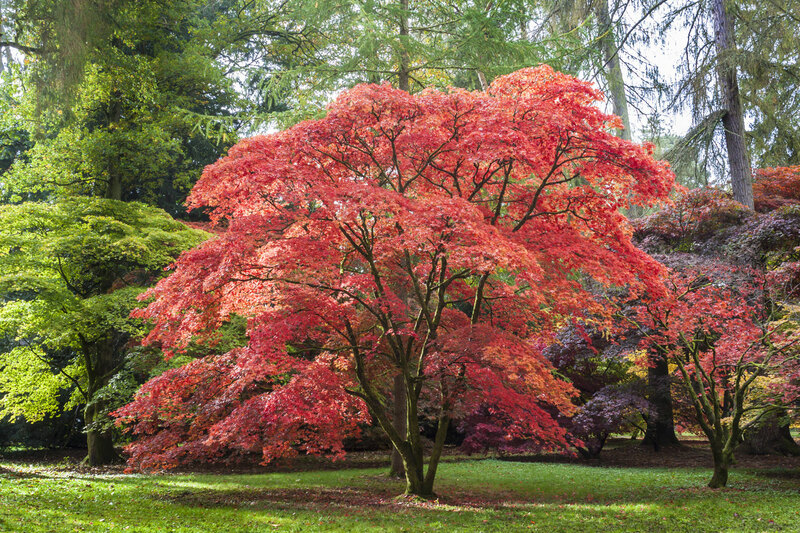 Famed for its superb collection of Japanese Maples, it is spectacular all year round, but of particular interest are the Festival of the Tree (August), the Autumn Colours (October) and the Enchanted Christmas (December), as well as Westonbirt’s varied programme of summer concerts. Prince Charles’s country residence is a 15-minute drive away. As an important haven for a rich variety of flora and fauna, the gardens have been developed to not only please the eye, but sit in succinct harmony with nature. 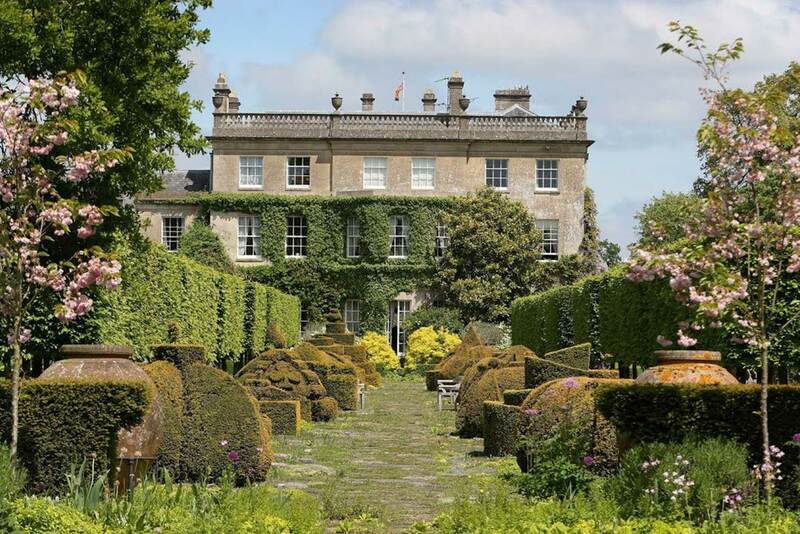 Tours of the delightful gardens, (followed by afternoon tea!) need to be booked in advance. 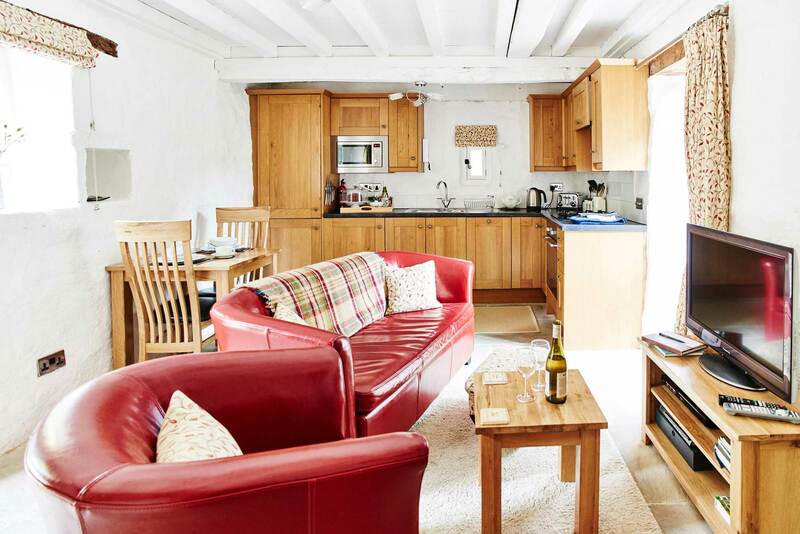 The Stables at The Rookery is a pair of luxurious 5 Star Gold Award self catering holiday cottages which can each accommodate two adults, situated on the edge of the historic Cotswold town of Malmesbury, Wiltshire. 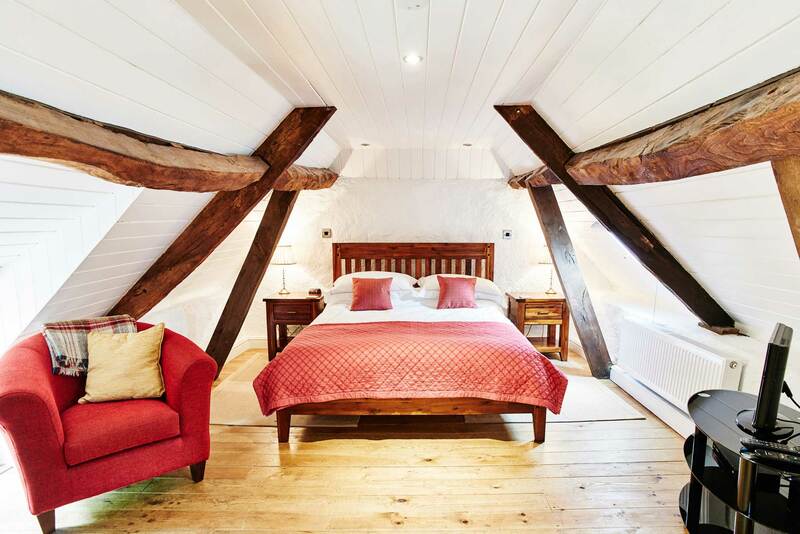 If you're looking for a romantic retreat, come and stay at our beautiful, grown up hide away and enjoy pampering yourselves for a few days. We are on hand to welcome you and help you to make the most of your holiday by recommending excellent places to eat and enjoyable excursions. 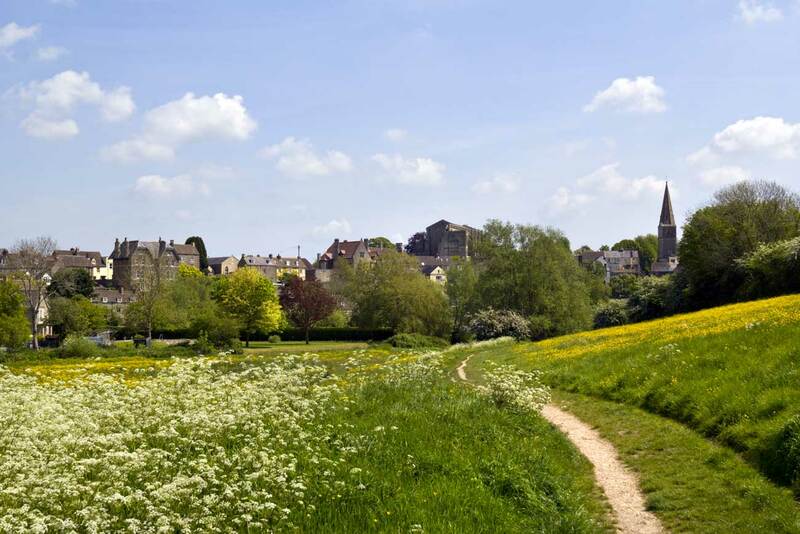 Malmesbury boasts a surprising array of attractions, all of which are an easy walk from The Stables at The Rookery. 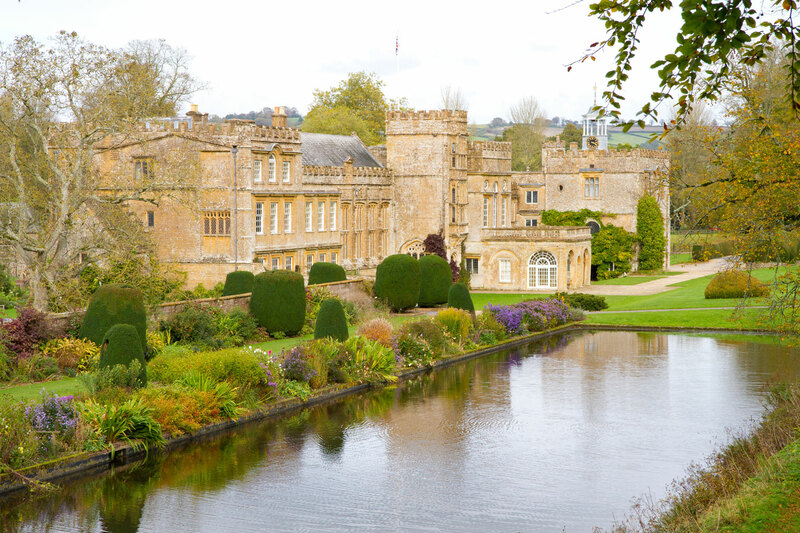 From picturesque walks along the river, to visiting the historic Abbey and local museum, there is something to suit all.